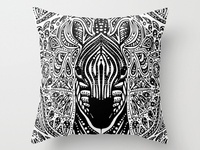 Zebra Throw Pillow — Zebra illustration applied to a throw pillow. 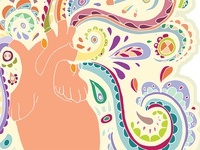 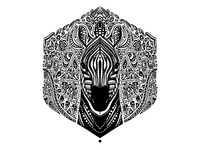 Zebra Illustration — Illustration of a zebra, hand drawn then digitally finished. 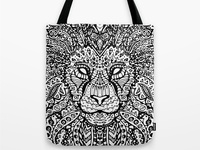 Lion Mandala Tote Bag — Lion Mandala illustration applied to a tote bag. 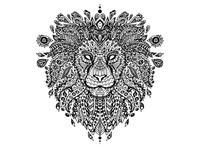 Lion Mandala — Lion mandala drawing. 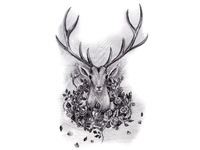 Deer and Roses in Black and White — The original pencil drawing of the Deer and Roses. 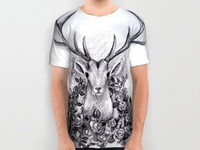 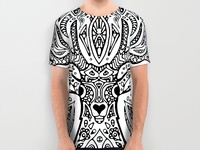 Deer and Roses T-shirt — The Deer and Roses drawing applied to a t-shirt.